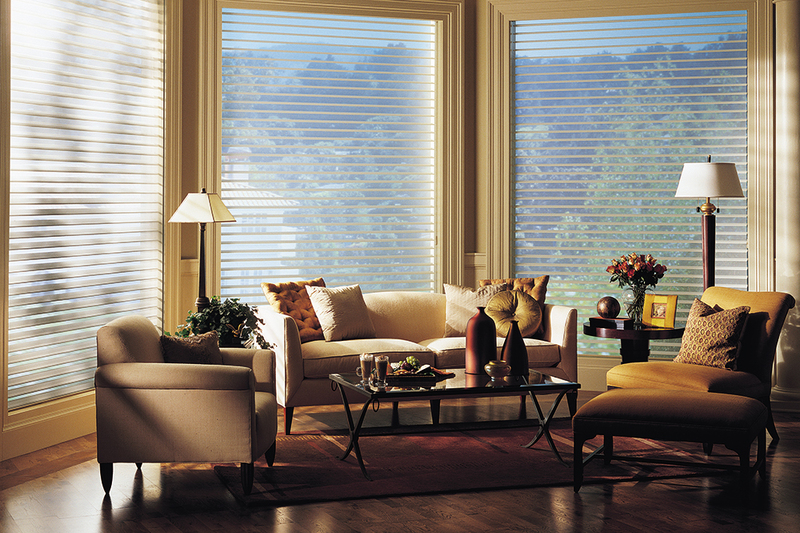 Boniwell Blinds provide the ultimate in elegant window coverings. Enjoy privacy without darkness, and views without glare. Whisper® Sheer Shadings combine all the advantages of Blinds and Curtains in one highly intelligent window covering. The sheer Polyester fabric is luxurious and delicate in appearance, yet durable enough to sustain everyday use. Its anti-static nature helps repel dirt and dust. Vanes are available in translucent and room darkening fabrics, in a variety of fashionable colours. The headrail can be colour coordinated to discreetly conceal the blind when fully raised. Boniwell Blinds offer two sizes of Whisper® Sheer blinds in 50mm and 65mm for you convenience.